Brian Fagan joins Experic with over 20 years of experience in Clinical Supplies. His development over the last two decades has provided him with expert knowledge in Quality Assurance, Operations, Project Management, and Global Clinical Supply Management. 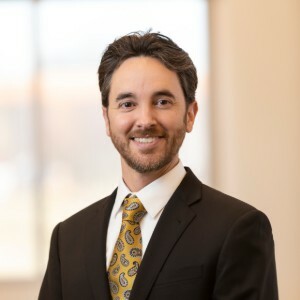 Before joining Experic, Brian served as Director of Operations at AdiraMedica, Clinical Supply Manager at Shire and Manager of Client Services at Fisher Clinical Services. He began his career in the pharmaceutical industry as a Quality Control Inspector with Packaging Coordinators, Inc. responsible for all aspects of federal regulation, company procedures, and client specifications. This role afforded him the opportunity to develop professional relationships in Quality Assurance for Merck’s Stability Packaging programs. Shortly after starting his career, Brian moved from commercial operation to the newly formed Clinical Manufacturing, Packaging and Distribution facility where he transitioned from his role in quality to Operations Supervisor. This change included movement of stability packaging lines and client management at which time he was able to use his quality principles to strengthen customer relationships and deliver consistent results. Brian moved from Operations to Project Management in 2002. In 2005, he accepted a position with Acculogix where he held roles as Project Manager, Master Scheduler/Quote Development and Manager of Client Services. After 16 years of supporting Contract Packaging Operations, Brian transitioned to Shire as a Global Clinical Supply Chain Manager. Brian managed Shire’s Major Depressive Disorder (MDD) program which included Phase II and III protocols, over 3500 subjects and spanned 20 countries.